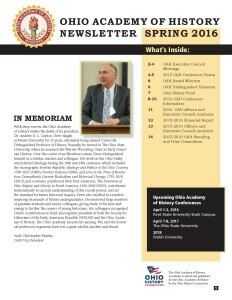 The Spring 2016 Newsletter is here! Click the image to download the newsletter. Please note that the 2017 Spring Conference has been re-scheduled to March 31-April 1, 2017.